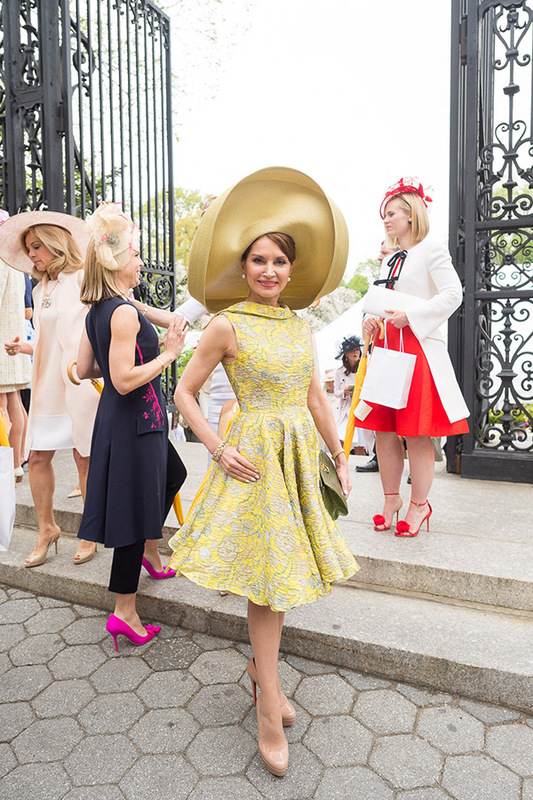 Dressed in a B. Michael dress and hat extraordinaire, philanthropist Jean Shafiroff was escorted by the dapper designer as they attended the Central Park Conservancy’s 33rd Annual Frederick Law Olmstead luncheon. 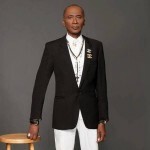 Over 1,400 chic-sters attended. $3.5 million was raised for Central Park that day. Real Housewives of New York cast member Ramona Singer’s divorce battle is turning brutal with her cheating soon-to-be ex-husband, Mario Singer. A source very close to the situation tells RadarOnline.com that Mario has been fighting Ramona with every weapon he has in order to gain control of their marital assets. Says the source: “Mario is trying to take Ramona for everything she worked hard to achieve. Ramona earned a lot of the money and he’s going after it.” Sources claim that Mario is also going after the Southampton home that is now up for lease, and the Manhattan apartment the couple owned while they were still together. 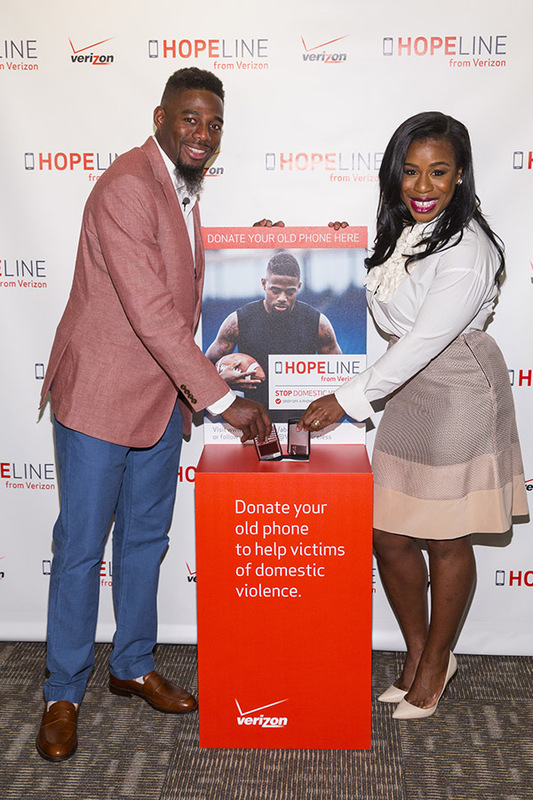 Verizon hosted an event in New York City with professional football player, William Gay, and “Orange Is The New Black” actress Uzo Aduba, to support their HopeLine from Verizon program and announce the goal of one million phone donations by the end of 2015 to support victims of domestic violence. Through a powerful PSA video, Gay shared his personal story of how domestic violence has impacted his life. Uzo donated a used wireless phone and discussed her views about domestic violence. Rose Kirk, Verizon Executive, discussed HopeLine’s mission and goals. Jaunita Vargas, Safe Horizon representative, talked about how Verizon’s HopeLine program has positively impacted domestic violence survivors. According to Variety, Fox News anchor and tabloid television pioneer, Geraldo Rivera, dropped $5.6 million on a three-unit combination condo at the top of a building on Manhattan’s Upper East Side. The apartment has three to four bedrooms and three bathrooms. The posh pad is a stone’s throw from Central Park, and has a monthly maintenance fee of $5,399. It also comes with four parking spaces in the on-site garage, a fully-staffed lobby, a wrap-around roof-top terrace, indoor pool, health club, party room, and children’s play room. Everyone raved about the evening gowns that Beyonce, Rihanna, Kim Kardashian, and Jennifer Lopez wore to last month’s Met Gala. However, Miami Heat player Dwayne Wade won the award for the evening’s most expensive ensemble. Sources say the NBA superstar’s Versace outfit and Buccellati jewelry set him back a whopping $270,000. No word on what his wife, Gabrielle Union’s purple Zac Posen gown cost. The “Being Mary Jane” star changed into a black halter dress for Rihanna’s after-party at the Up and Down Club.